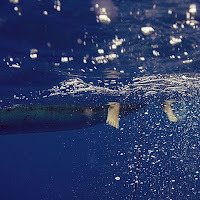 Copyright 2011-12 by ANYTHING TUSCAN. Powered by Blogger. No better way to understand a wine you love, than by meeting the winemaker behind it. This interview with Giovan Battista Basile from the Basile winery in Southern Tuscany's Montecucco DOCG is the start of a series of articles, which will map out some of the best organic wineries in Tuscany. Other people are into banking, sailing or shoemaking. Which winds blew you on top of a Tuscan hill? My sister. She owns a beautiful property (Le Pianore) in a valley surrounded by untouched nature at the foot of Mount Amiata. I lived with her for four years until my brother Domenico and I decided to buy a piece of land that had been abandoned for years. We immediately decided to plant vineyards so as to produce our own wine. Why Montecucco DOCG? 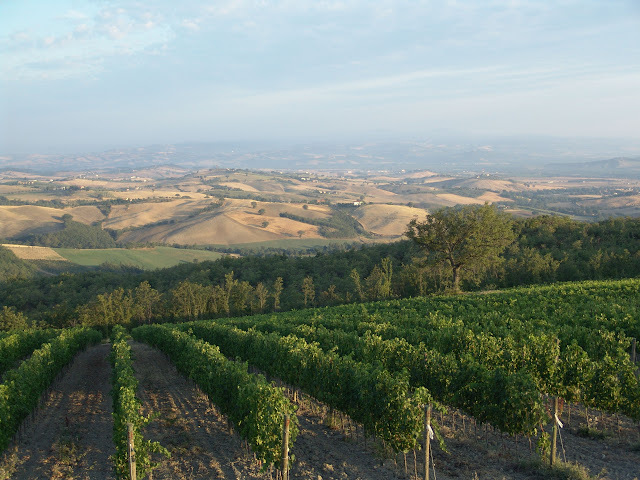 Any interesting facts and figures about your Tuscan wine making region? Montecucco is a fascinating area. When we started out, the DOC had just been born a year before. It was an interesting challenge – new producers in a new DOC. To this day the territory of Montecucco has managed to keep its idiosyncrasies, and the amounts of vineyards in the area is in balance with the rest of nature. Lots of the wineries are family run, and many of them still farm the land, breed animals and obviously have their own olive groves. Organic wineries in Italy: what are the pros and cons? Or are there only pros? The pros are evident: we don’t pollute and we produce healthier wines. Vino biologico, biodynamic agriculture and vin naturel – where are you positioned in the jungle of organic and natural wine making? We are simply organic: certified and controlled! 'Natural wine' is a rather fuzzy concept. And I don’t like people, who declare that their wines are natural but not organically certified. What’s the point of that? It’s important to be strict with people who create a brand like the one of vini liberi (free wines), which is mainly a marketing strategy. International or Tuscan grape varieties? We’ve never followed the wine making fashions. We’ve consistently produced two mainly Sangiovese wines and one with a good quantity of Merlot. Both represent the terroir, because Merlot too expresses itself with great character in Southern Tuscany. A favorite vintage or one that has been underestimated? 2009 has given great results in our winery. Any suggestions for travelers looking to get to grips with Italian wine before coming here? If you’re already a connoisseur of wine, I would recommend spending some time scouting the lesser known wine regions. Italy has a wealth and variety in regard to wines, that doesn’t exist nowhere else in the world… not even in France. Tuscan restaurants, bars, wineries - where can you be found hanging out? One of my all time favorites: La Divina Enoteca, a wine shop in Florence in the area of the San Lorenzo market. It’s a fascinating place, because it used to be a baccaleria - a shop where dried and salted cod was sold. The marble basins used to soak the cod are still part of the shop. A Tuscan drive or walk that never fails to turn a dreaded Monday morning into a weekly highlight? Infinite possibilities… As a drive I particularly love the road that starts from Stribugliano - a small town between Arcidosso and Cinigiano in Southern Tuscany - and leads seemingly nowhere. You’ll be driving for miles without encountering anybody. On foot, I love the white road that runs from our house in a circle passed our wine cellar down into the valley and back up to our property. 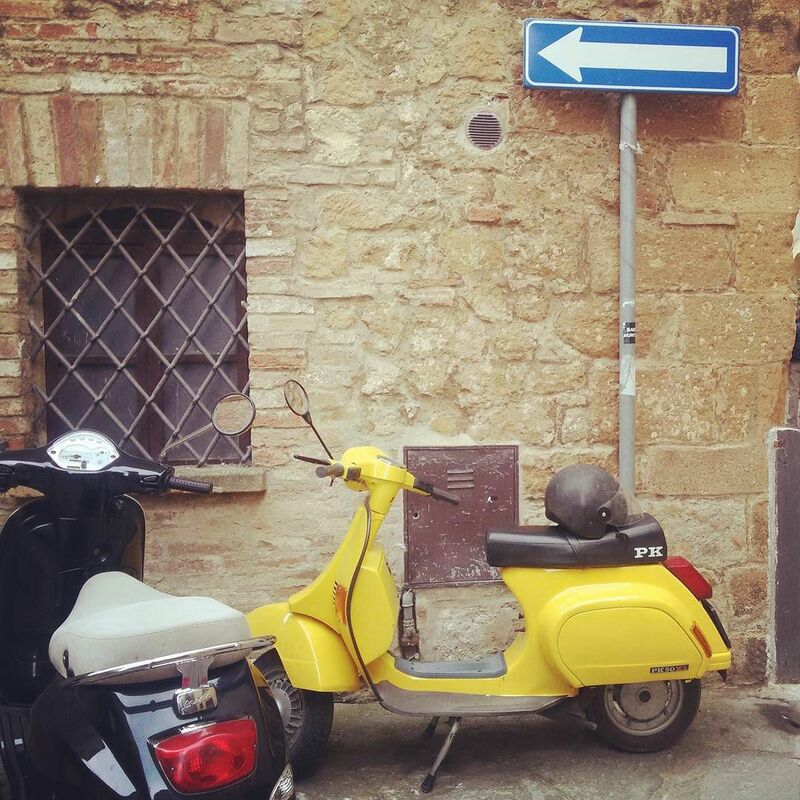 Any area in Tuscany you couldn't do without? Many! I’ve got a soft spot for Roccalbegna, a little known town in the Maremma. It's difficult to find a place on the sea in Italy that is little known… In Tuscany, it’s without doubt the Maremma National Park. A special place, because of its pristine nature and long and solitary beach. However, as a father of two boys I prefer to hang out on busier beaches. Like that our kids can make friends - and we parents relax a bit. Are you a museum goer? If yes, where and why? I love visiting Italy’s cities with the eye not on shop fronts, but a bit higher up so as to take in all the beautiful artistic details on the facades. I’m very upset about the fire that has destroyed Naples Città delle Scienze (the city of science). It was a unique museum for kids, teenagers and adults alike. I also love archaeological sites: in our area the ancient city of Roselle near Grosseto is definitely worth a visit. Any Tuscan town, food or sightseeing attraction you feel is overrated? In Tuscany I can’t think of any. I’m always rather surprised about the amount of tourists in Milan. If not Tuscany, where would you want to live? Rome! I’d love to have a second home in the historic center for weekend breaks: dinners, cinema, theater, museums, and discovering the eternal city one visit a time. A summer festival, classical concert or sagra (village festival) you're never missing out on? La Festa dell’Uva (the wine harvest festival) in Cinigiano! Every first weekend of October. 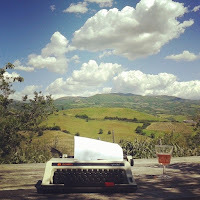 What to do with teetotallers in Tuscany (like in kids or grandchildren)? I was almost one of them before moving to Tuscany! During the harvest my two kids spend a lot of time in the wine cellar drinking the must that still has to ferment (and therefore isn’t alcoholic yet). They’re literally doing their first wine tastings like this. Any favorite Tuscan hot springs, churches or roadside bars? Bagni di San Filippo. San Galgano abbey. A Tuscan producer, Italian wine region or rediscovered grape variety that we should keep an eye on? I’m originally from Italy’s Campania region. Try the great Taurasi wines, which can take it up with some of the most noble wines from Tuscany and the Piedmont. Any dreams in the cupboard? A bigger winery, a sleek new wine cellar or a totally different life? All I need for my happiness is a good life with my family and a little economic independence to be able to travel from time to time. And then… 99/100 on Wine Spectator! Anything else, you'd like to add (political propaganda against Berlusconi is more than welcome)? A foreigner told me once: Italy is a wonderful country with hardly any problems… if it wasn’t for the Italians. Last but not least - an Italian book, blog, film or piece of music or art, that will take the average traveler straight into the heart of this messy boot called Italy? FACTS AND FIGURES: The BASILE WINERY is located on a sunny hill between Monticello and Cinigiano in Tuscany's Maremma. Surrounded by hectares of wood, the vineyards are ideally located for viticulture and the winery combines respect for tradition and nature with the evolution of 21st century technologies. A total of six hectares of vineyards are cultivated with a yearly production of 35.000 bottles of wine. Controlled and certified by the Italian consortium for the control of organic produce (CCPB), the winery also produces its own solar energy and follows the principles of green building. The great quality grape is harvested manually and fermentation takes place at controlled temperature in stainless steel of superior quality. Aging time is in French oak (tonneaux and barriques) for 12/24 months. 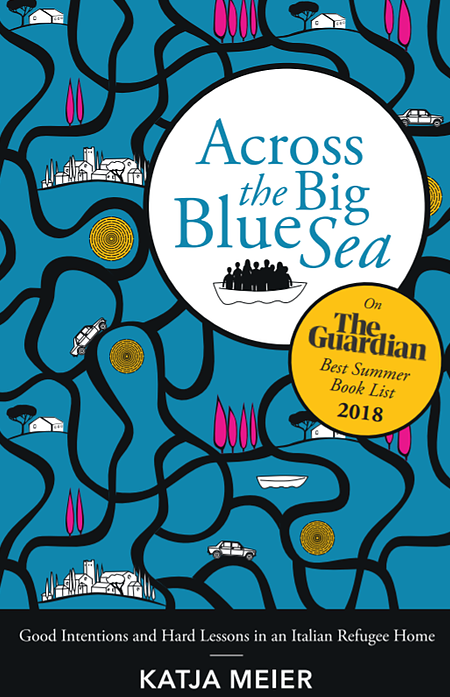 A Guardian best summer book 2018!